Lobby signs are the equivalent of business cards. You mount them on your wall to impress clients, present your brand, and make an excellent first impression. You want these signs to be memorable. At the same time, you do not want them to break the bank. With 3D lobby logo signs made of foam, you get the best of both worlds. Foam meets brushed metal for a brand-building look! 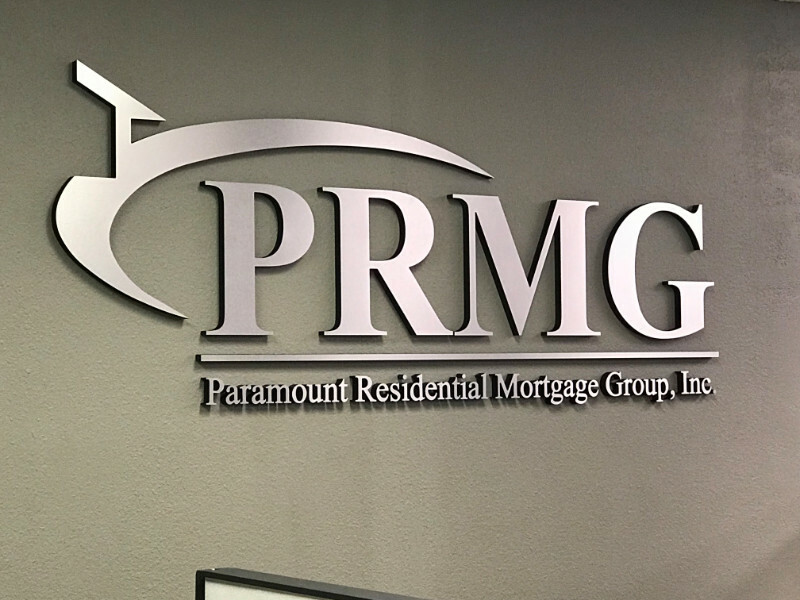 PRMG has been voted as being among the best mortgage companies in America. The firm handles home mortgages and values its professional relationship with clients. With 106 locations nationwide, our sign shop received a call to help with the local office’s lobby sign. We met with the client and designed a black foam sign that we covered with a brushed metal facing. The product fits perfectly against the medium gray backdrop. Our technicians installed the product at an ideal height. Foam allows for custom shapes and colors! jCyte is in the business of developing stem cell therapy for specific health conditions that lead to blindness. To portray the mix of avant-garde and high-tech branding that this company requires, we were asked to create an impressive lobby sign. We replicated the logo and lettering the way that consumers see it on the website. Our technicians ensured a perfect color match and spaced the logo portion correctly. Because of the advantageous lighting, you notice a slight shadow play now that the sign is mounted on the wall. You might opt for metal, acrylic, plastic, or PVC. What makes sign foam so unique? Budget-friendly. Start-ups appreciate that they do not have to spend a mint to have a great-looking sign in the foyer. Foam is the ideal signage solution when the budget is tight. Versatile. Feature the foam with paint. We present your corporate palette to its fullest advantage. That said, you might also choose to have us install a metal or acrylic laminate facing. Another alternative is the use of an imprinted vinyl overlay. Typically, this last option is ideally suited for businesses with a logo featuring gradient color changes. Three- dimensional. Sign foam is one of the few materials that support various depths. Case in point is the marker that measures three inches in thickness. With the right set of spotlights, it creates breathtaking shadow displays. As a result, sign foam is a typical choice for business owners who want dramatic presentations and pizzazz in their reception areas. It all starts with a consultation appointment. Our graphic artists collaborate with you to put together a look that encapsulates your brand message. We come out to your venue to take measurements, which allows us to give you input on the ideal size for the planned sign. If you already have other signage in place, we will work hard to have this foyer marker fit in with them. 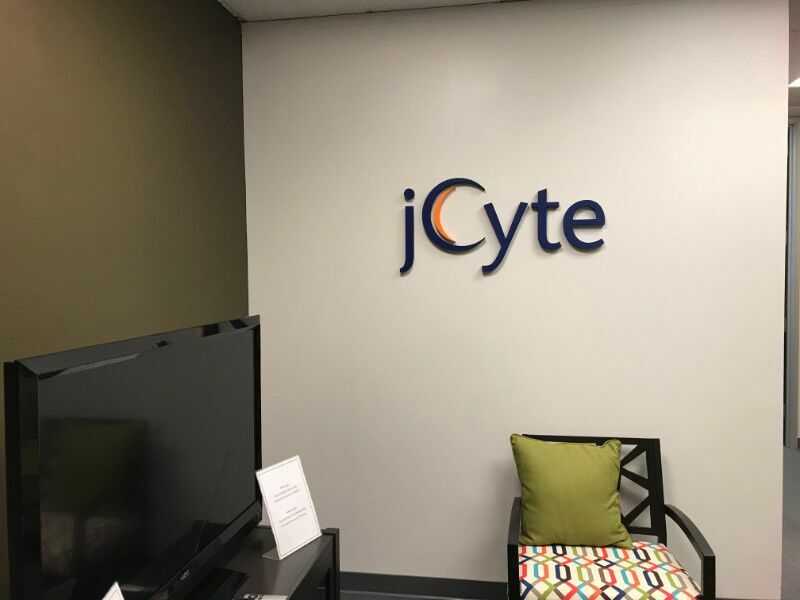 If this is your first office sign, we gladly help you design secondary signage solutions that match the impression you seek to make with the lobby sign.